The Samsung Portable SSD T5 elevates data transfer speeds to the next level and unleashes a new experience in external storage. With a compact and durable design and password protection, the T5 is truly easy to carry and stores data securely. 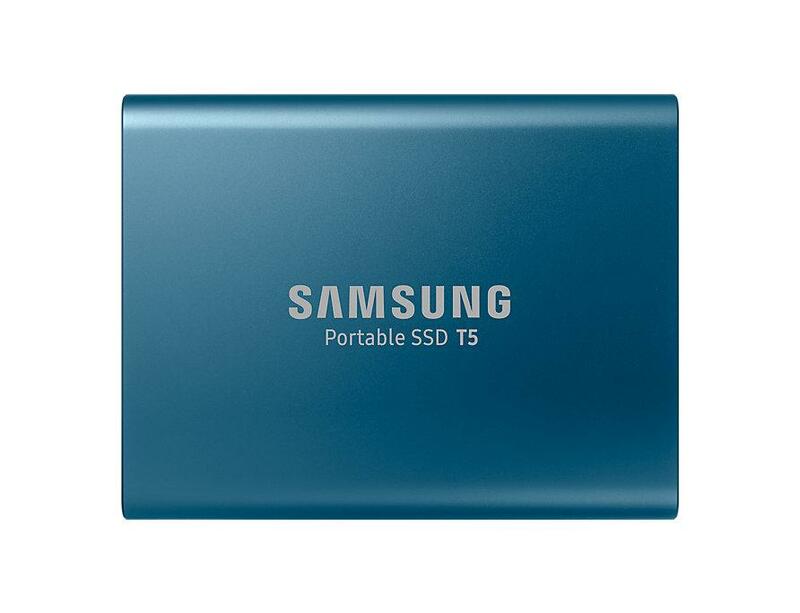 With Samsung V-NAND flash memory and a USB 3.1 Gen 2 interface, the T5 provides transfer speeds of up to 540 MB/s, that’s up to 4.9x faster than external HDDs. Transfers and backups of large-sized data including 4K videos and high-resolution photos will be much quicker and faster. The T5 has no moving parts and a sturdy metal body, so it can handle drops of up to 2 meters. The optional password protection with AES 256-bit hardware encryption keeps your personal and private data more secure.